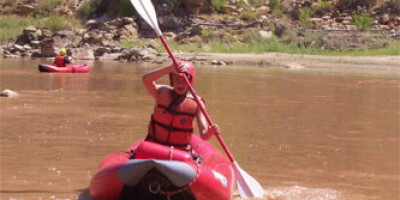 If your vacation plans bring you to Utah’s canyon country but you don’t have time for a longer river trip, join us for one day of rafting on the Green or Colorado rivers. We offer trips on the Colorado River in Westwater Canyon and the Moab Daily section, and we also offer trips on the Green River in Gray Canyon. 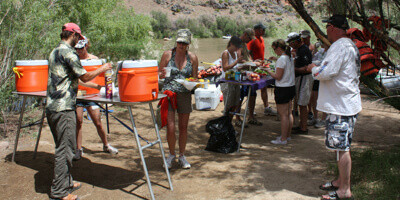 A delicious lunch is included on all of our trips.One of our most popular single-day river rafting trips in the Moab and Canyonlands area is Westwater Canyon. 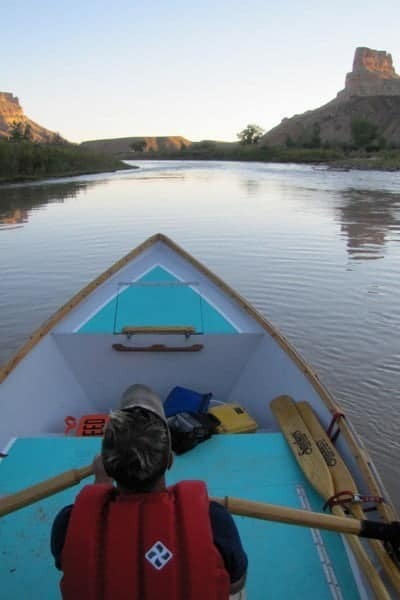 You see one of the most stunning sections of the Colorado River within just one day, and everything from rafts, paddles and lifejackets to a filling and wholesome lunch is included. Book now to ensure your spot on this popular expedition. Fisher Towers, which sits just to the northeast of Moab, is another popular option, and it is one of the best one-day rapids rafting adventures in the world. This trip is particularly accessible for families and groups, and much of the day will be spent in a leisurely float so you can enjoy the scenery. These single-day river rafting trips are available May-October, depending on weather conditions. 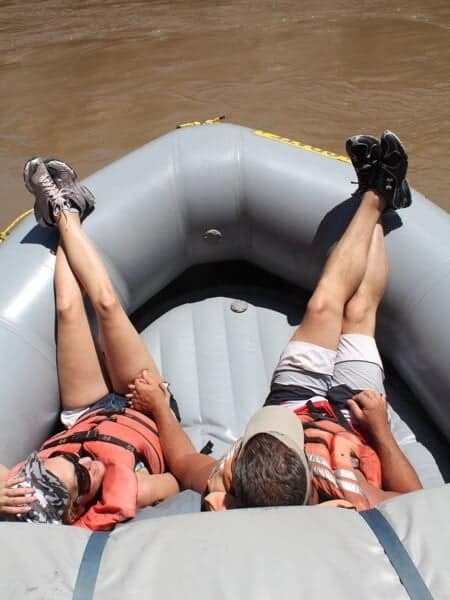 To escape the tourist crowds during your rafting adventure, consider booking a Green River single-day adventure. The rapids are fun but easy to navigate, and the scenery is incredible. The Green River eventually meets up with the Colorado River at Canyonlands, but the river section we navigate by raft on our nine-mile day trip is located just above the town of Green River. This trip is ideal for families. Another one-day rafting tour option for the most adventurous vacationers is our Whitewater Dory trip. 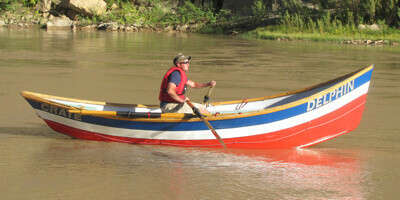 Dory rafts have a hard hull, and trips are limited to four people. We customize each dory trip based on the needs of your group, so get in touch with us soon so we can start planning your day of river rafting fun. Most of our trips are available during summer months, but we encourage you to contact us with questions or to schedule your one-day rafting trips any time of year. You can reach us by email at create@crateinc.com or by calling toll free at 1-800-253-7328. This trip has traditionally been rafted in 2-days, but in recent years it has become extremely popular as a 1-day section. This is one of the most beautiful sections of the Colorado River. The rapids in Westwater Canyon are always fun and exciting. We love to run this trip for groups and can supply roundtrip transportation from Green River, Utah or Moab, Utah. This is a very popular section and we have a limited amount of launch dates so it is a good idea to request this trip months in advance. This is the most popular 1-day stretch in Utah. There are plenty of small rapids and the scenery is out of this world. Float in your lifejacket, have a water fight, paddle your own “ducky” through the rapids, its all up to you. Just grab your hat, sunscreen, and swimsuit, we’ll do the rest. 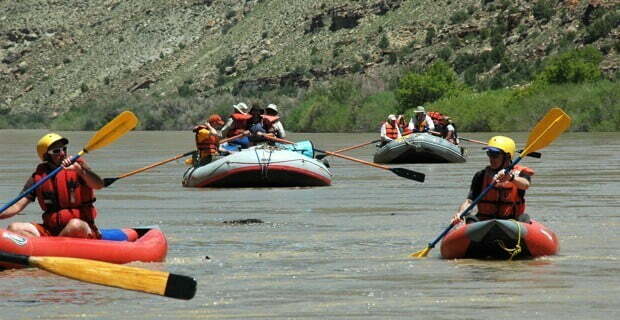 This is the ticket if you want to have a fun day on the river with-out all of the crowds of Moab. Like the Moab section there are fun rapids and pretty scenery. We also offer the “ducky” option on this trip. 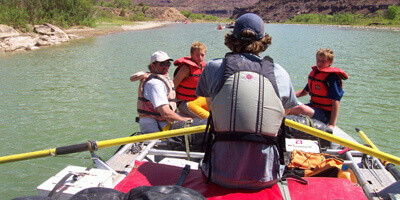 Experience the thrill of a hard-hulled boat on the mighty Colorado River. 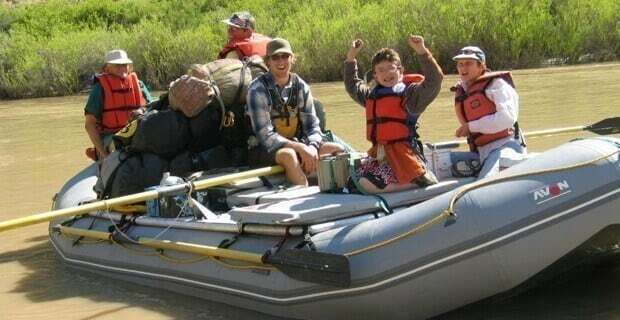 Our 1-Day Dory trips are limited to four people and are a great way to enjoy the river life. We can fully customize your 1-day Dory trip for you. Anything is possible with such a small intimate group. The inflatable kayak option is a great way to go for those who want to challenge the rapids on their own. 6-8 guests paddle while a guide steers the raft from the back. This is a great option for those who want to be very active. On a rowing raft a guides does all the work while guests enjoy the rapids, photograph the scenery, float in the river, have water fights, or sunbathe.